Are you constantly facing power struggles with your child? Does your child display disobedient, hostile, or defiant behaviors towards you or another authority figure in their life? Does your child have angry outbursts again and again? Do they have a hard time controlling themselves when they are angry, stubborn, or argumentative? Does your child frequently struggle to obey any requests or directions? If so, your child may have a common mental health disorder known as oppositional defiant disorder. Agitated mood/ a short fuse, which includes loss of temper, easy annoyance, resentfulness, and anger. 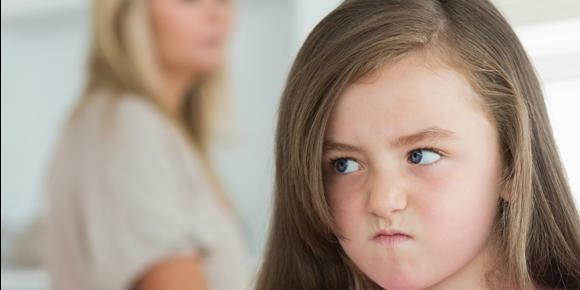 Argumentative/ defiant behavior which can be seen in your child blaming others for their mistakes, often deliberately annoying others, regularly arguing with authority figures and refusing to cooperate with requests from authorities. Vindictiveness/revengeful behavior at least twice within the past six months. In order to be diagnosed, the criteria listed above must occur for more than six months and at least four of the symptoms must be present. Specific severity of ODD can be categorized into mild, moderate, and severe. The ODD is mild when symptoms occur in one specific setting such as at home, school, at work or with peers. It is considered to be moderate when the symptoms appear in at least two settings, and severe ODD indicates symptoms occur in three or more settings (American Psychiatric Association, 2014). Although no one is exactly sure what factors cause ODD, researchers believe the factors that put a child at high risk for ODD may include, but are not limited to the following; coercive cycles, low socioeconomic status, parental psychopathology, divorce, inconsistent/passive parenting, lack of parent supervision, and presence of co morbidity. Additional research shows that there are an interesting variety of components contributing to the symptoms of ODD, which include: a history of early childhood temperament styles, difficulty being calmed as a baby, and emotionally vulnerable. Additionally, children who encounter caretakers who are unsupported of normal social development and predisposed to sexual and physical abuse can be a risk factor as well. Taken together, these cycles of unhealthy patterns can repeat themselves in the family system, which places children and youth at high risk of adopting oppositional behaviors. ODD becomes severe within the child when one or both parents have a history of mental health issues that include depression, ADHD, ODD or antisocial disorder. The ODD pattern and behaviors can create distress among family, teachers, and peers in a variety of settings. Having low tolerance to frustration and constantly blaming others for their own actions makes engaging and interacting with others very difficult for a child with ODD. The externalized behavior associated with children who have ODD of being non compliant and argumentative toward authorities limits them from building healthy and meaningful relationships. The disorder makes it challenging for people with ODD to establish positive rapport with others. These children and adolescents are often lonely and do not know how to handle situations effectively. Often, when children exhibit aggressive behaviors and perform poorly at school, they can be excluded from friend groups. Children with ODD misinterpret the actions of others as threatening, which can make forming peer relationships extremely difficult. The symptoms of ODD may also create difficulty in the child’s ability to empathize, have interest in establishing peer relationships, or engage with anyone around them for a long period of time. While ODD can seem scary and intense at times, there are many successful and effective treatment for this disorder. If you believe your child may be ODD, it is important to seek help from a mental professional. A mental health professional, such as a marriage and family therapist, can provide support, care, and education to the family and the child who is experiencing the ODD. There is no one size fits all for a child with ODD. A marriage and family therapist can integrate a variety of therapeutic modalities that been shown to be effective in working with children with ODD and the families that are impacted by the disorder. Working collaboratively with a therapist you trust and feel comfortable with is essential to the process of treating ODD. problems. Alexandria, VA: Association for Supervision and Curriculum Development. treatment: intervention and research. Cedar Rapids, IA: Springer International Publishing.